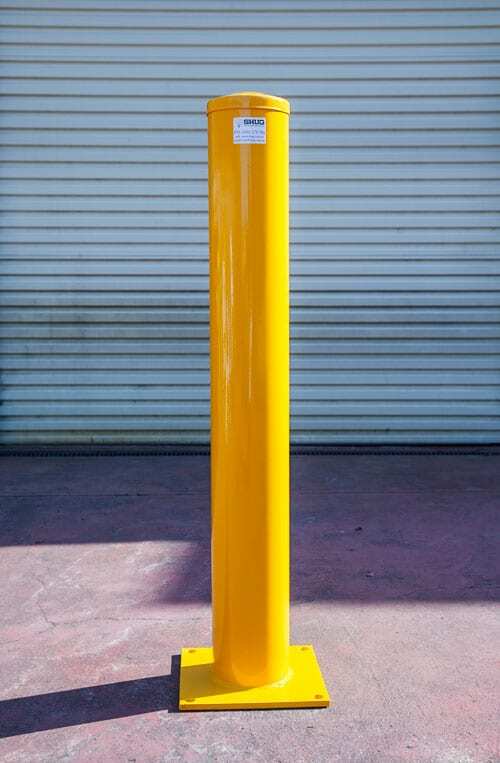 This is one tough bollard. Made to last, The Rhino is a serious protection device that tells people you mean business. 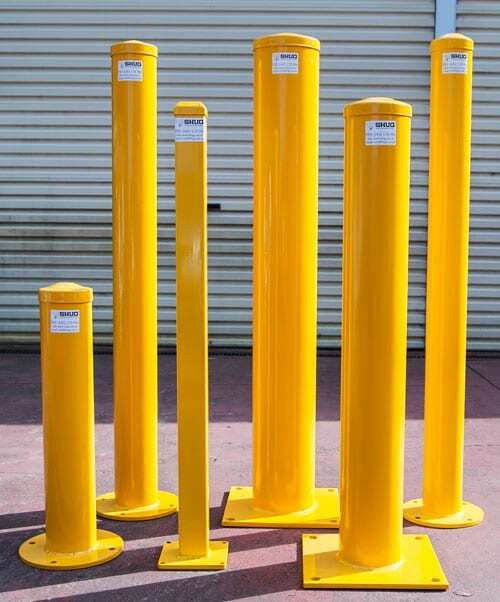 The Rhino is an all-rounder and can come in any height or diameter. It can also be used as a removable or fixed device. The choice is yours. Tell me what you're thinking and the Rhino can be customised to your needs. 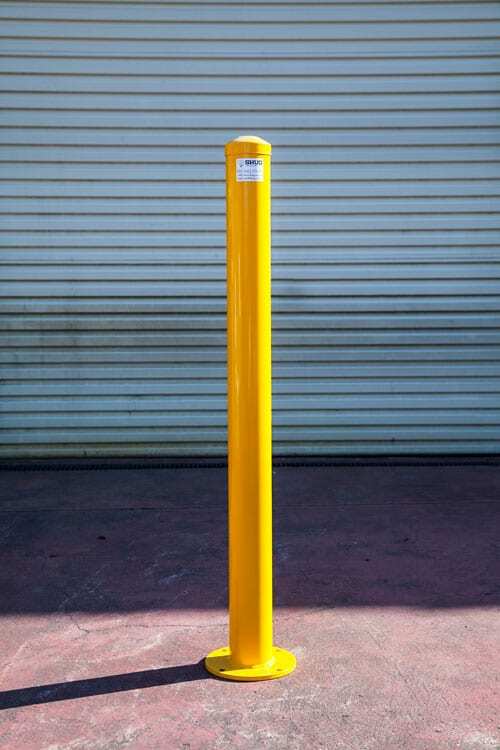 Super strong bollard that can be filled with concrete for extra protection. 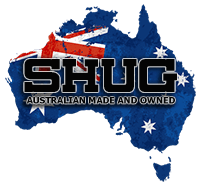 Absolutely no plastic parts - even the cap is made from metal. The base plate is 10 - 12mm thick giving extra strength in the base - ideal for bolting to concrete. I can include special footings for installation into asphalt. Reflective markers can be added for extra protection at night. 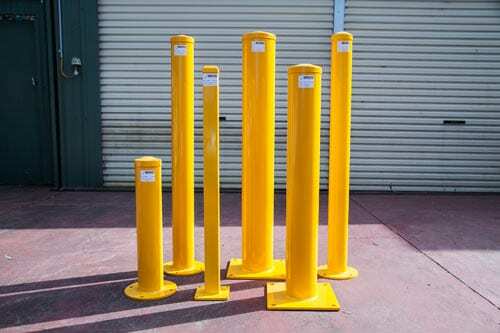 Please contact me to learn more about the Rhino Bollard. To see my full range of bollard images click here. 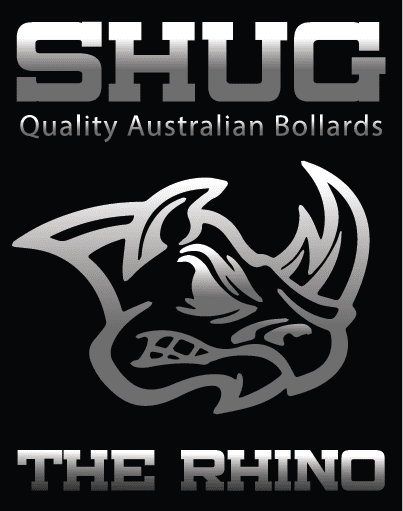 If you'd like to get a quote on The Rhino please click here.